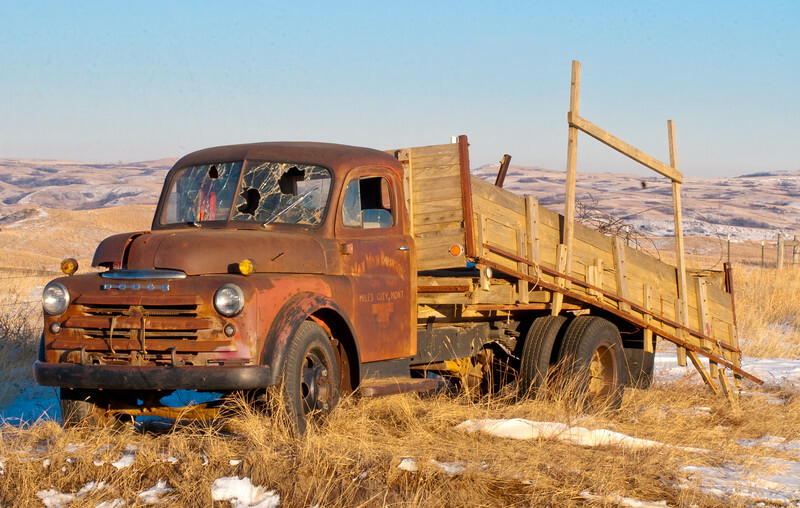 Between Mandaree and Skunk Bay, a Miles City, Montana deliver truck rests in peace -- well almost in peace. A few bullet holes have ventilated the windshield. Below the hills, the Little Missouri River meets Lake Sakakawea.